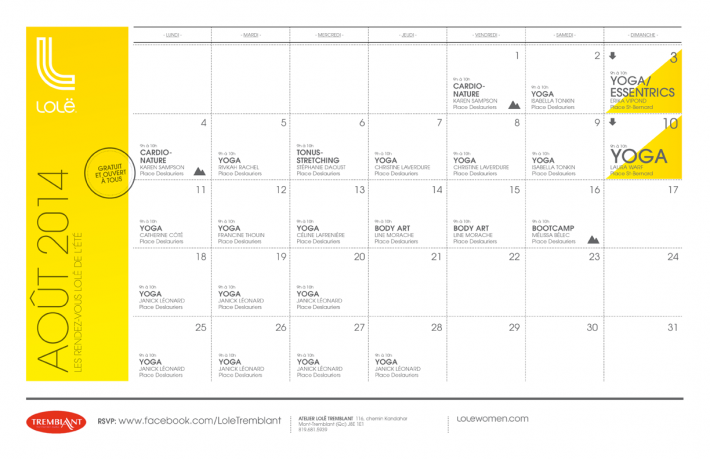 Summer is still in full swing in Tremblant, with the Lolë Tremblant workshop meet-ups. Experience a great outdoor workout with a session of Cardio-nature or wake up your mind and body with a yoga class. The local Lolë ambassadors have a lot of fun energy and offer fantastic free courses. For those who have never been or are not familiar with these disciplines, it does not matter, quite the contrary! These workouts will get you started, and who knows, maybe you will adopt a new activity. Lolë provides you with the yoga mats, so you just need to dress in comfortable clothes and join the group at the Place Deslauriers. Perseids : Make a wish !